Often awake and active during the day, these tiny owls nest in barbet or woodpecker holes in trees. As adults they have a ‘false face’ pattern on the back of their heads. They truly have eyes in the back of their heads! These dark ‘eye’ spots help to deter potential predators and mobs of small birds from attacking from behind. 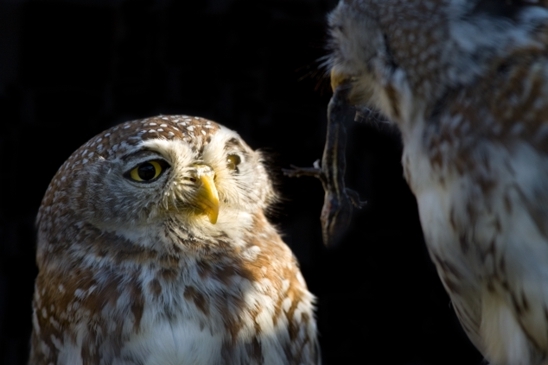 If disturbed these tiny owls open their real eyes wide and wag their tails in indignation!